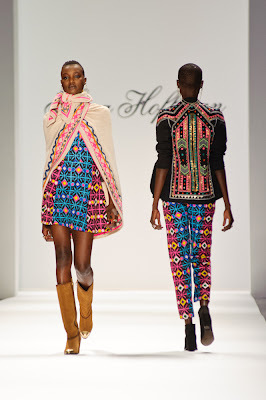 Excitement was in the air backstage at Mara Hoffman’s Fall 2013 collection at Mercedes-Benz Fashion Week. 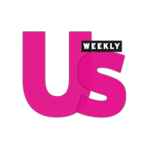 Nick Erwin who created the hair look for the show was busy making sure that every strand was perfect and that the ear cuff chain necklaces, sure to be a major fashion trend very soon, were in place for show time. I had a chance to see the vibrant pieces up close as team members were making sure that the clothes were runway ready. I also go to see the amazing gold tipped boots that were a collaboration with Miista Shoes. When the lights went up in the front of the house the audience was greeted with high energy music and brightly colored clothes that are sure to turn up the heat in fall. 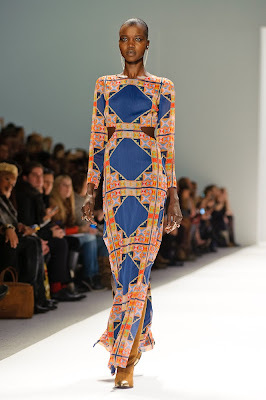 Fall 2013 will be all about bright, bold colors and patterns which will give a bit of a spring feel to the chilly season. 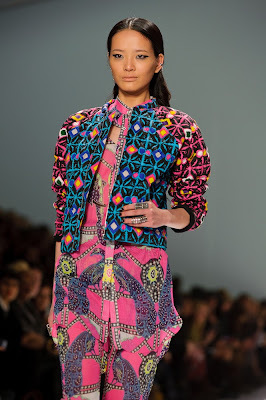 We saw more kaleidoscope prints that seem to be a huge trend for fall as well as great capes and ponchos. The clothes and the show had a very global chic feel with inspired prints from various cultures. Mara also had models in lots of fun accessories with fingers showing stacked rings, and lots of them! This gorge gown is sure to make at statment at any party! Doing a head to toe matching pattern is going to be a big trend a la the 90's. 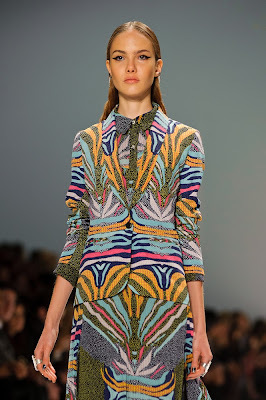 This pattern and look is a perfect day look. You can easily use the pieces individually and take them from day to night. I love this jacket! It is the perfect piece to combine multiple trends. You can easily pair this jacket with an all black outfit to pack a big punch. This dress can be paried with a blazer or jacket for a day look. Remove the blazer or jacket for evening cocktails. These pieces are perfect for brunch with the girls on the weekend. That cape is everything! This entire look is brilliant for the day time. You can take this outfit to so many places. It is chic and hip without being over the top. I am obsessed with this look! I love a good oversized sweater and I love these camel leather leggings and matching boots with the gold tip. All of the gold tip boots in the show were ultra fab. If you are really daring you can try this sweater as a dress with some fab heels.